Some of you may know this about me...I love to hunt for flea market treasure. Often on a Sunday morning you can find me trolling around for the perfect find. 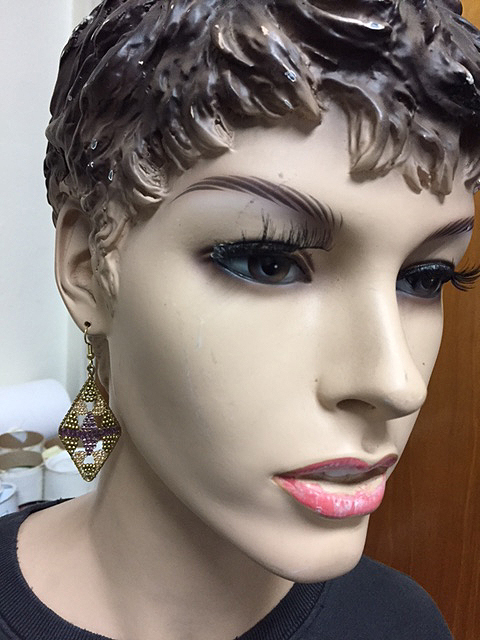 One of my discoveries was and is "Tippy", a fabulous vintage mannequin with pierced ears. Named by a dear friend of mine, Tippy has wonderful painted curly hair and real eyelashes. 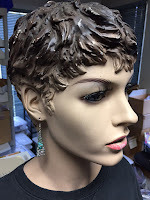 She has enviable cheekbones. 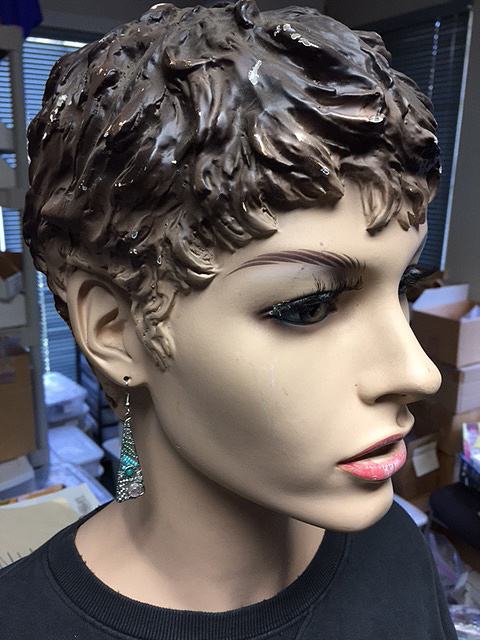 Today she decided to steal my old faded Gap sweatshirt and model some of Dunitz & Company's fabulous fair trade earrings. Yes, this is a fluff piece today! 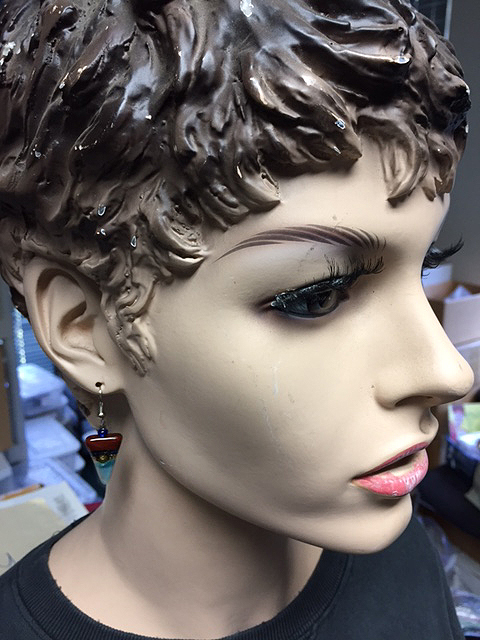 Most of the earrings Tippy is wearing in this spread are new this season and available from our wholesale catalog. If you're looking for fair trade jewelry direct from us, please check out our host of offerings on our retail site. 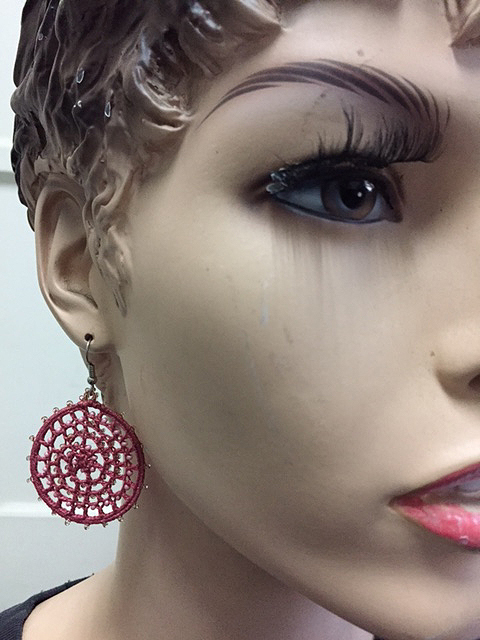 These are our Triangle Swirl Earrings. These Dunitz & Company fair trade beaded earrings are a customer favorite this season. Tippy decided to hang out in the middle of our offices near the inventory for this shot! Our Quilter Earrings remind us of....vintage quilt patterns. What an original name, yes? Peace Peace Peace! Peace Now! We're all striving for a bit of peace. 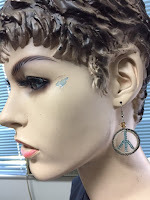 Why not dangle some Peace Danglers on your ears? Or your customer's ears? Dunitz & Company also has a terrific collection of fair trade fused glass earrings. We have lots of styles including these Tiny Almond Glass ones. And you'll find several fused glass earrings available on our retail site. If you haven't given our Joanie M Collection a try, we suggest you do. This collection which we introduced in 2011 has successfully sold in many stores. You won't be disappointed. 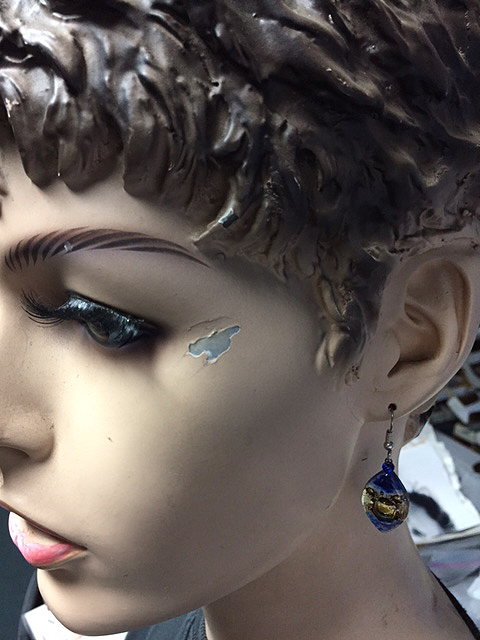 Tippy shows off our Pointed Triangle Glass Earrings in this last photo of the day. She wanted you to all know Dunitz & Company sells several shapes of fair trade fused glass earrings.